Here we are going to see how to solve quadratic equations by factoring method. 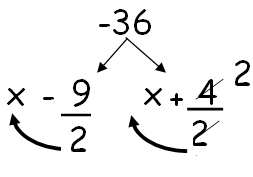 We follow the steps provided below to solve a quadratic equation through factorization method. 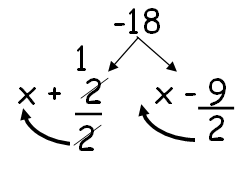 By splitting the middle term, factorize the given equation. 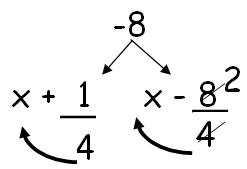 After factorizing, the given quadratic equation can be written as product of two linear factors. Equate each linear factor to zero and solve for x. 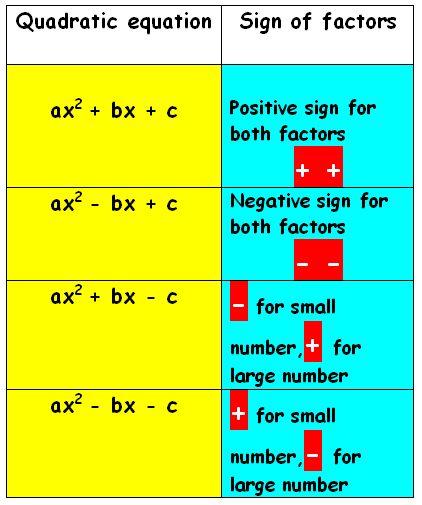 These values of x gives the roots of the equation. Now, we have to decompose -8 as product of two term, such that the product of those numbers must be -8 and simplified value must be equal to -7. Since the middle and last terms are negative, we have to put negative sign for large factor. Hence the solutions are -1/4 and 2. Hence the solutions are -9/2 and 2. Hence the solutions are -1 and 9/2. 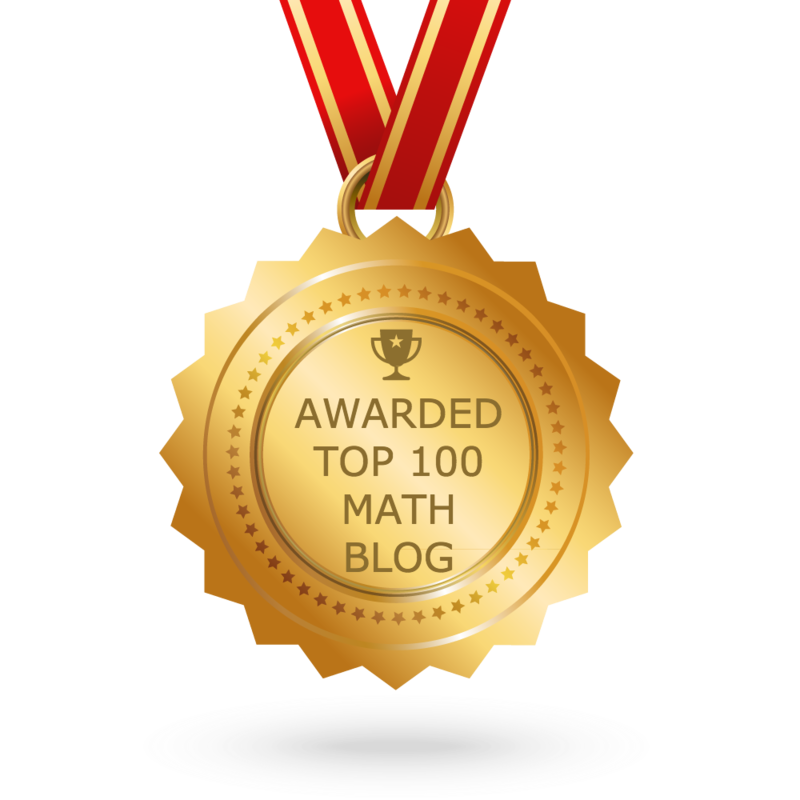 After having gone through the stuff given above, we hope that the students would have understood, "Solving Quadratic Equations by Factoring Method". Apart from the stuff given in this section "Solving Quadratic Equations by Factoring Method", if you need any other stuff in math, please use our google custom search here.